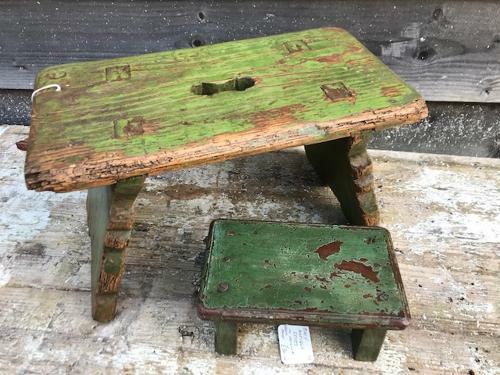 We always try and stock a good selection of antique cottage foot stools. These come in all shapes and sizes, some in old paint such as these. They make ideal presents and can be used as foot stools, seats for an extra bum or at the side of a sofa for coffee cups etc. If looking for a stool for a gift just tell us the sort of thing you are after and we will see what we have available. Better still visit our antiques Barn and see for yourselves!